The reason why people get frantic when they contract acne is not because of the fear of any health setback, but because of the disfigurement the condition causes. The need to look good sometimes even leads people to consider acne surgery. 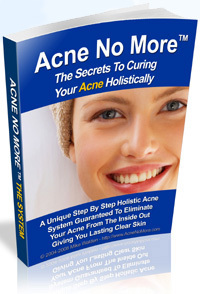 There are two forms of acne and they are the non-inflammatory one and the inflammatory variety. The former type causes very little problem and are usually quite small. They come in the forms of whiteheads and blackheads. The inflammatory types are much more troublesome and cause pain and irritation, besides being unsightly. Those affected generally turn to over the counter medicines and creams as their first line of defense. If these don't work, they can either decide on using prescription medications or natural remedies. However, if none of these methods work, or if there is an urgent need for someone to look his or her best at fairly short notice, surgery may have to be resorted to. Acne surgery is the term which refers to surgical methods of removing the acne lesions. Removing non-inflammatory acne lesions such as blackheads is a relatively straightforward affair and can even be performed by a trained nurse. However, always remember that such operations do not insure permanent relief as new blackheads may form to replace the ones that have been removed. Performing surgery on inflammatory acne is a more complex process and should be carried out only by a certified doctor or surgeon. There are basically four types of Acne surgery and these are Cyro surgery, Laser surgery, surgery with Chemicals and Excisional surgery. Cyro surgery is used to reduce the devastations left by skin damaged due to acne. It requires direct or indirect application of liquid nitrogen to the skin to cause local destruction of tissue. The worry with this procedure is that it has a tendency to encourage fresh growths of acne at the site where the surgery is carried out. Laser surgery is used to smooth over acne scars and bring down the redness surrounding lesions which have healed. Chemical surgery is used to restore skin by removing the outer layers of damaged skin and Excisional surgery is used to extract and drain severe acne nodules and cysts. While acne surgery is a sure way to remove unsightly pimples and nodules, there is no guarantee that those will not spring back later. That is because the real causes of acne remain within the body. The causes of acne may be many like overproduction by the sebum gland and a high level of toxins as the body is unable to expel them. The only permanent cure for your acne, however large and unsightly they are, is the holistic approach. It is the only method that does not deal with the symptoms but goes to the very root of the problem and cures it. All other methods work in a partial way and the results are consequently temporary.